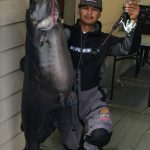 Noy Vilanysane broke a nearly 10 year old lake record at Lower Otay Lake yesterday with his catch of a massive 102.9 pound blue catfish while competing in a bass tournament. The catch broke the previous lake record, a 98.45 pound behemoth caught in December of 2007 by Michael Williams. This massive catch is even more astonishing given the manner in which it was caught. Noy was fishing for bass during the 2nd day of the San Diego Team Series TOC (Tournament of Champions) – their year-end championship event, and using 8 lb test line on a spinning rod with a small 4″ paddle tail swimbait. That’s considered relatively light tackle for the 4 lb class bass he was targeting, let alone, a 100+ pound catfish. 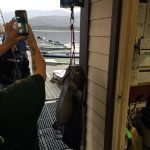 According to Noy’s posts on social media, the battle took about 1 hour, and the entire process of catching, weighing and documenting the catch at the dock with lake staff took about 2 hours time. After releasing the fish, he went back to bass fishing and finished the remainder of the tournament. 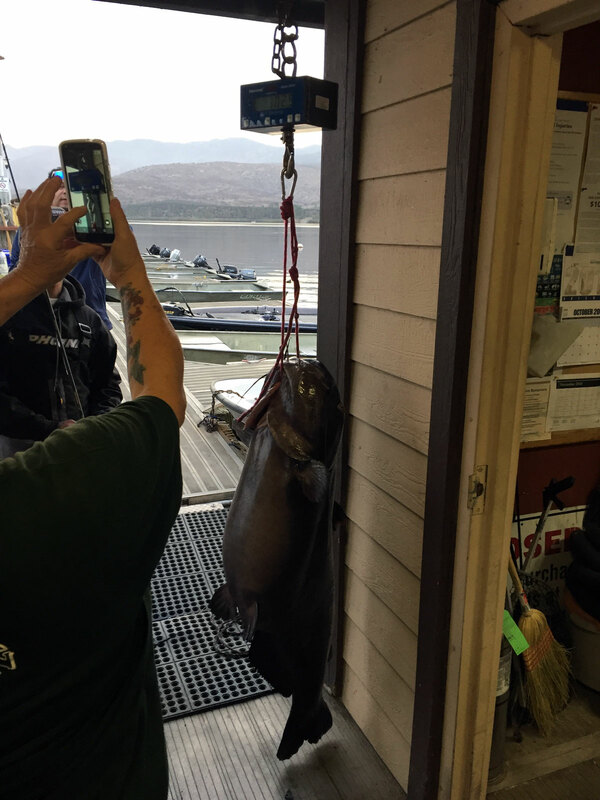 This isn’t the first time a giant blue catfish has been caught at Lower Otay by a bass angler. In 2009, Adam Hinkle caught and released a 87 pound blue catfish while fishing with 4 pound test. And this also isn’t the first time a bass tournament angler has caught a lake record catfish. In March of 2013, Cameron Smith caught and released a 48.25 pound blue catfish at El Capitan Reservoir. That record was since been topped by a 50.85 pounder caught last year. Catfish are generally considered bottom feeders, but blue catfish are often caught by bass anglers because they prey on the same forage that bass do, shad, crawdads and trout (when available). Not only is Noy’s fish the largest ever caught at Lower Otay, it’s the second largest ever caught in San Diego County – and possibly the entire state of California. 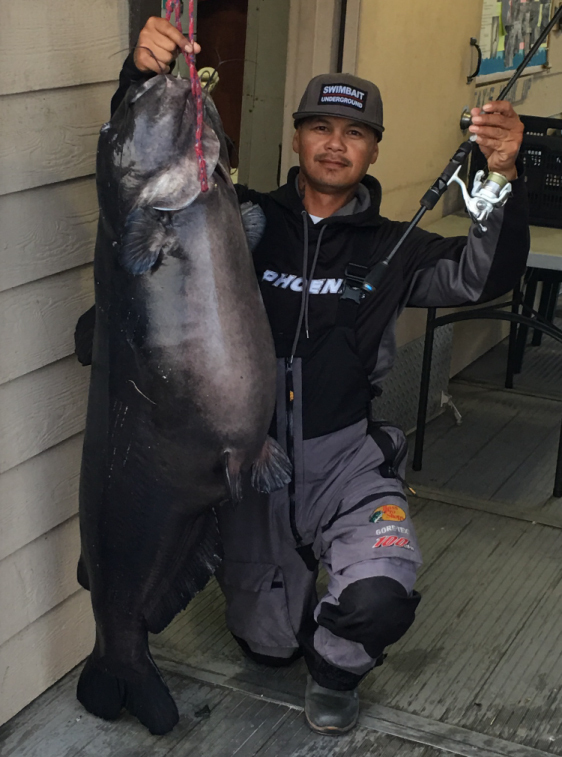 The state record blue catfish is 113.4 pounds, caught in 2008 at San Vicente Reservoir, which broke the previous state record of 101 pounds caught at San Vicente in 2000.